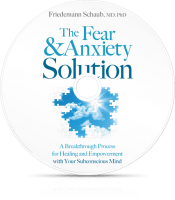 The Fear & Anxiety Solution is an exceptional resource from a gifted physician of cardiology medicine and cellular biology. It’s clear that Dr Friedemann truly ‘walks his talk’ and is willing to unlock the mysteries of the mind-body-spirit connection for all to understand. Most importantly, he inspires to create a bridge from deep rooted life-long fears and anxieties with solutions of empowerment that honor the innate true WHOLE Self. What a precious gift to ourselves and the world! Whoa. 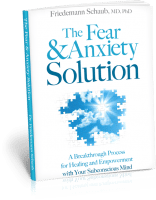 If you, like me, have suffered with anxiety for years, this book is a tremendous help. It took a couple of midlife bouts with acute anxiety for me to recognize the underlying fears that had been dogging me most of my life. The book gets pretty deep, giving you guided meditations to access and repair your subconscious. That may seem like a lot for some, but it was just what I needed. As imaginary or esoteric as the exercises may be, I have definitely felt a positive effect from them, and they have helped me move past old emotional wounds. I highly recommend this book. Very simple and easy to learn more about this area. 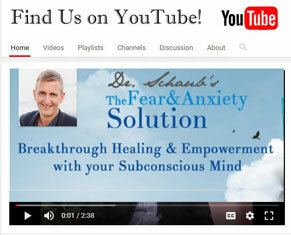 Excellent resource to educate clients with anxiety problems.